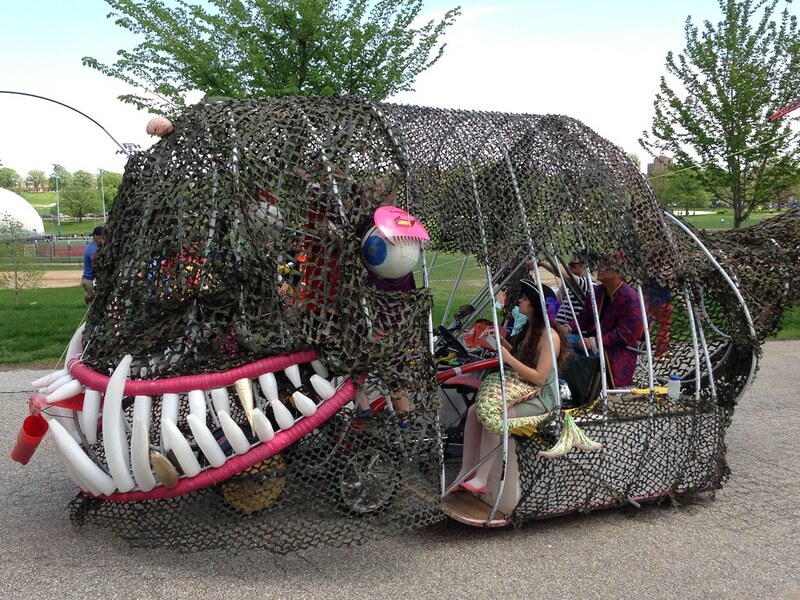 On May 2, 2014, custom-built amphibious sculptures strolled through Baltimore, Maryland, for the Baltimore Kinetic Sculpture Race, an annual event that began in 1999 with the sponsorship of the American Visionary Art Museum (AVAM). Powered by costumed crew members (aka Kinetinauts), each sculpture endures an all-terrain course through Chesapeake Bay and downtown streets for a total of 14 miles. 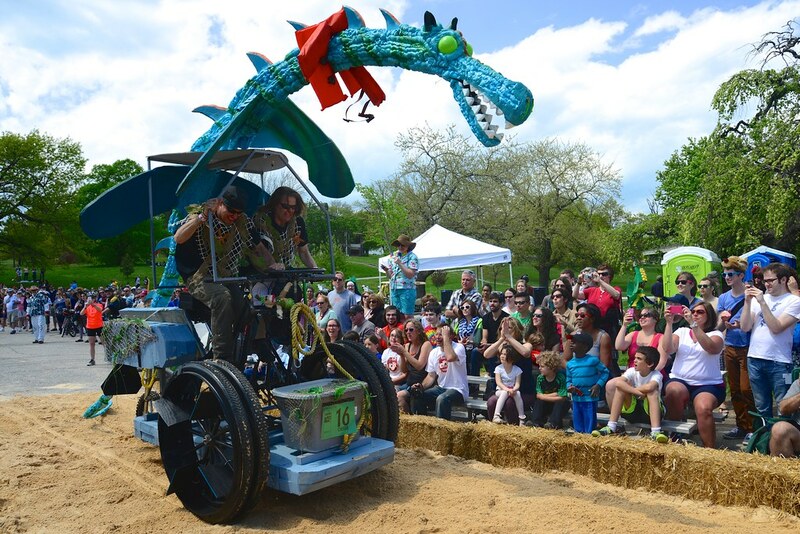 See, and share, more photos in the Kinetic Sculpture Race gallery and Kinetic Sculpture Races group.